National Fund Development and Communication Coordinator, SOS Children’s Villages, Nigeria, Gboyega Fadowole-Aje (left); Ganiat Aruna; Quadri Aruna and National Store Coordinator of SOS Children’s Villages, Lawrence Agbaegbu, during the presentation to the home in Lagos on Tuesday August 28, 2018. 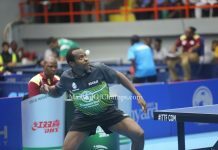 Away from his regular training ahead of the 2018 ITTF African Championships, Quadri Aruna on Tuesday, August 28, 2018, put smiles on the faces of students of SOS Children’s Village International in Isolo, a suburb in Lagos, Nigeria. Aruna and his spouse were received at the SOS Children’s Village by the National Fund Development and Communication Coordinator, Gboyega Fadowole-Aje, who described Aruna’s gesture as commendable, while hoping that other sports stars in Nigeria would take a cue from the athlete. 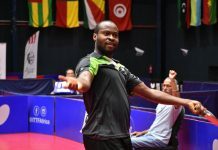 “We want to first of all congratulate you on your victory at the just concluded Nigeria Open. We are indeed touched by this your singular gesture and believe your presence in the Village would surely inspire the children to aim high like you in their endeavours. On behalf of the Country Director, we are grateful and we wish you well”, Gboyega Fadowole-Aje said. 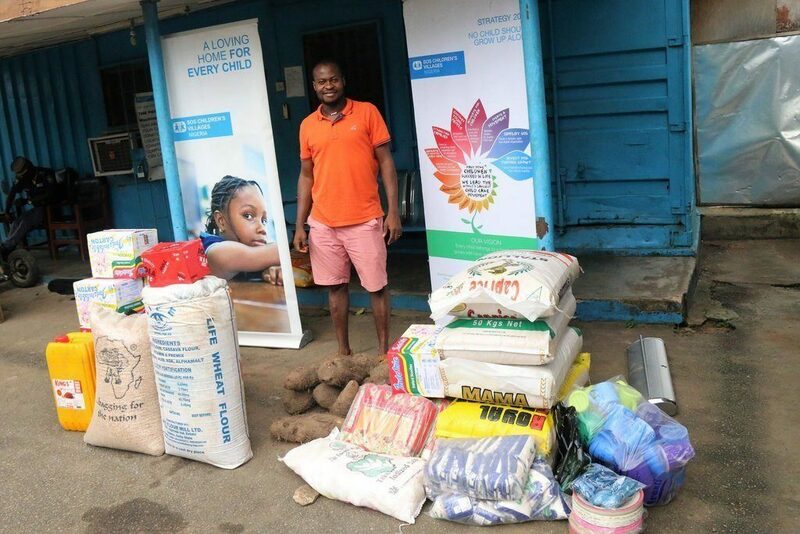 Quadri Aruna donated food items and a mini table to the home. For Aruna, the gesture has been part of his plans to support the disadvantaged people in the society: “This is another way to show love to those who are not privileged, and I believe this small gesture will augment what others have been doing for them. 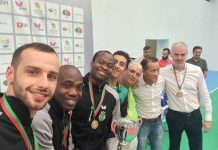 I am doing this to also give back to the society where I emerged from, and this will not be a one-off thing as I hope to make it a regular part of my plans whenever I am home in Nigeria,” the World No.18 said. 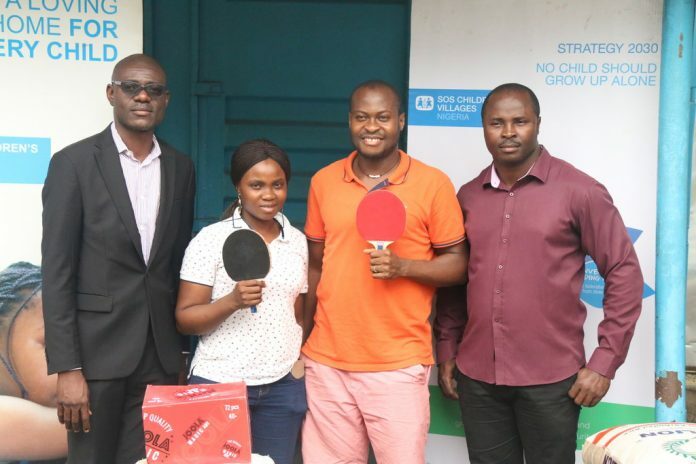 Also, the National Store Coordinator of SOS Children’s Villages, Lawrence Agbaegbu, believes the efforts of the Table Tennis star is a welcome development, while urging other well-meaning individuals and corporate bodies to support the centre, which is an international home for the less privileged. Aruna donated a mini table and food items to the home, and also took time out to play Table Tennis with some of the children at the centre.